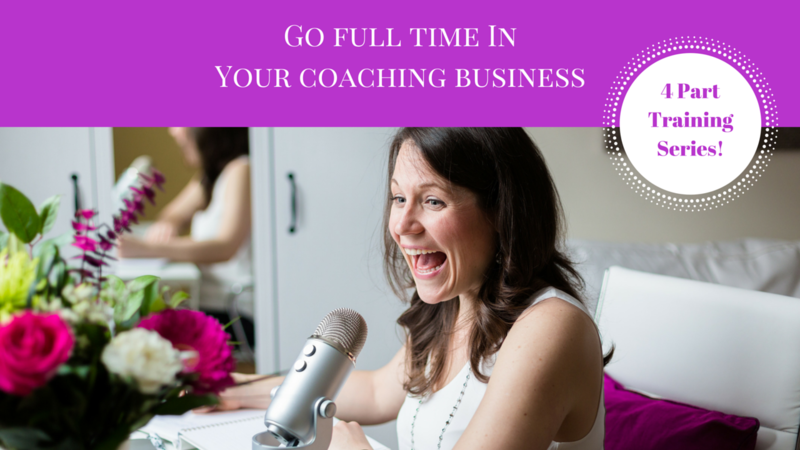 Everything you need to know to go full time in your coaching business! Go Full Time In Your Coaching Business!! There's a lot to learn when you are building your coaching business online. But in this jam packed 4 part training series, you are going to get an in depth breakdown of the most important pieces you need to go full time. how to follow up and get a 'yes'! how to set up and organize your computer to maximize having everything at your finger tips! how to set up your email so that you stay in control and don't waste time! what successful people know about business that unsuccessful people don't know!